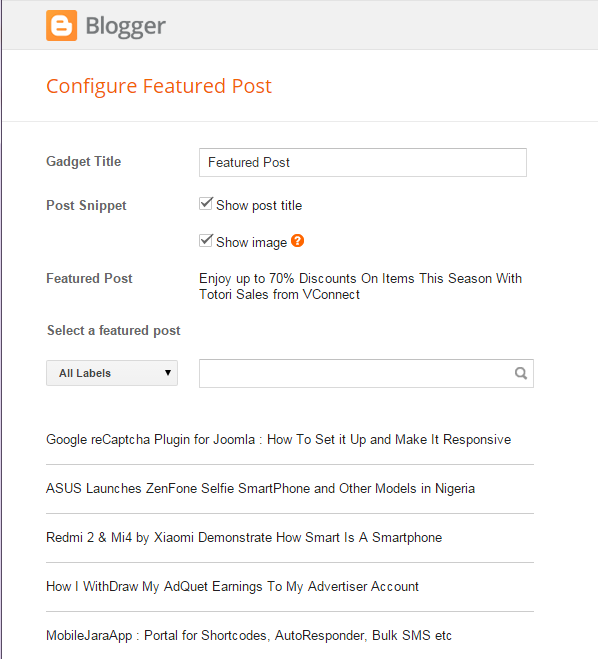 Blogger has rolled out a new gadget; "Featured Post" to enable you easily highlight a special post on your Blogger blog. Whether you’d like to re-share that popular post from a few years back, spotlight a can’t-miss promotion you’re running, or just revive something quirky from the archives, the Featured Post gadget is a simple way to show off the content that matters most. You can even make it available as an option for Advertisers. To try it, just head to your Layout tab, add a gadget, and select ‘Featured Post’. You can change the gadget title, disable the post snippet title and image. Unfortunately, you can't disable the intro part for now. You can use the search box to search for a specific post in your archives and you can also use the "Labels" drop down to filter your posts. 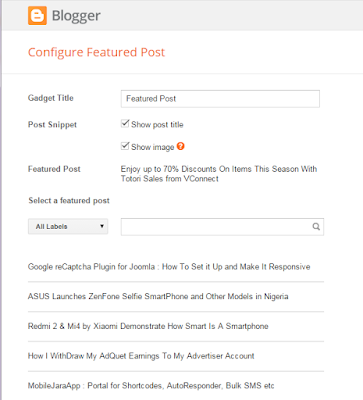 The ‘Featured Post’ gadget doesn't display on Blogger mobile template by default. If you want it to display on the mobile view of your blog, you will have to enable that as explained here. Have you started using it on your blog? If yes, do you like it?